Security was so tight on the production that even Kevin Costner was refused permission to visit the set. Warner Brothers employed a private investigator firm when some shots of Danny DeVito in costume made it into the tabloids. Continuity: When the Penguin makes the shadow of a bird on the ceiling, he is lying on a bed with his hands directly above his chest. So where is the light that causes the shadow? 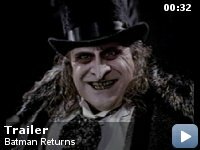 Out of all the Bat-films, Batman Returns is my favorite. This beautiful, dark, and funny film is one of Tim Burton's best work. Although it is much violent and darker, this is the Batman that creator Bob Kane envisioned many years ago. 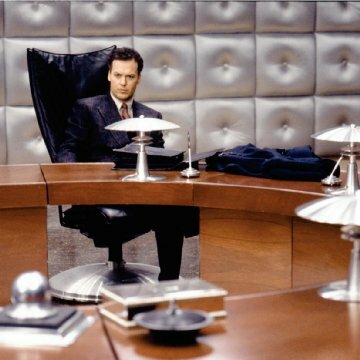 Michael Keaton reprises his role as the avenger of Gotham City. 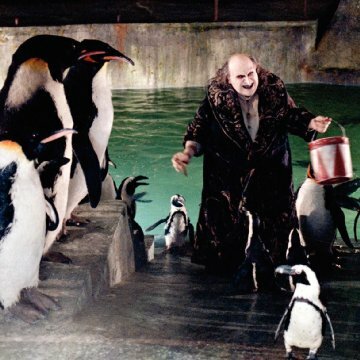 This time he's up against two deadly foes, Danny Devito's Penguin and Michelle Pfeiffer's Catwoman. With a great cast and film score by Danny Elfman, the movie takes us on an adventure as Batman battles the evil forces that are trying to take over Gotham City. Christopher Walken makes a great appearance as Max Shrek, a shrewd businessman who has an evil scheme up his sleeve. 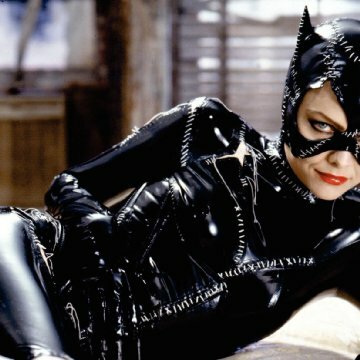 But of course, Michelle Pfeiffer is the one that steals the show. With all of these components, you have a film that will blow you away. This is the reason why you go to the movies. It's got everything. It's really a shame that Tim Burton didn't get to direct the other sequels. If so I think the franchise would still be going strong today. 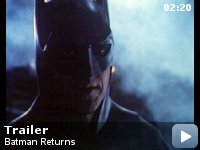 Batman Returns is an awesome experience for fans that like cool movies.